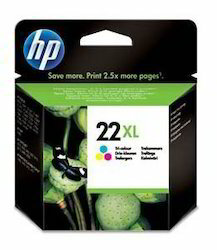 We are offering a wide range of hp compatible inkjet cartridges that are compatible with HP deskjet printers. These are re-manufactured by us using the best quality materials and offered at lower prices as compared to the OEM. Known to produce vibrant colors, our range is cost effective and widely demanded in the market. - Pritop 818 XL inkjet cartridge is very affordable and reliability for everyday printing needs. 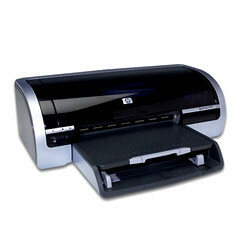 With dependable HP ink cartridges, it does not waste time dealing with leaky cartridges and reprinting pages. - It is user friendly and has a high superior quality, yielding up to 600 pages per cartridge with a coverage of 5%. - Reliable ink for precise, everyday moderate printing. In the way of Deskjet refilling , we completely disassemble the cartridge, thoroughly clean the deskjet cartridge & replace all worn out components before filling it with ink. The print quality of our refilled Deskjet cartridges is almost equivalent to original and the page yield also matches the original specifications. Grow your business and print what matters for a new, low cost. Easily print, copy, scan, and fax, plus save time with convenient features and produce professional-quality colour with low-cost Original HP ink cartridges. Ideal for increasing productivity, using a versatile All-in-One with low-cost Original HP ink cartridges and fax capabilities.